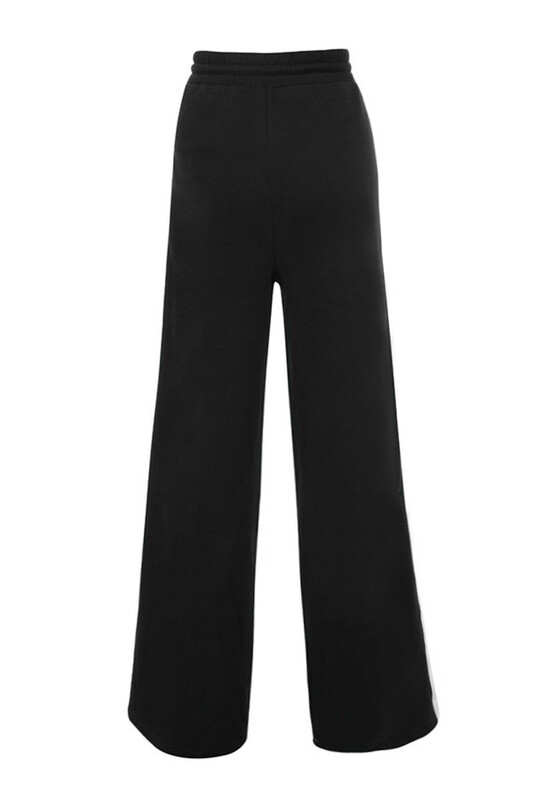 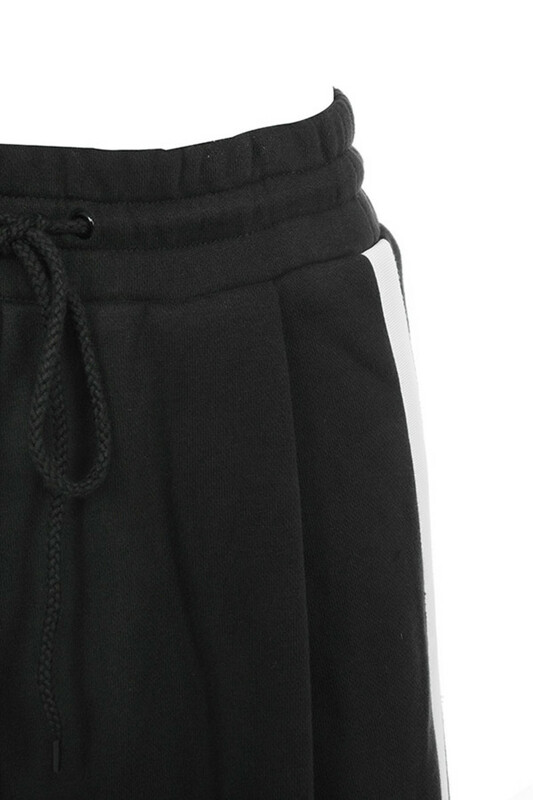 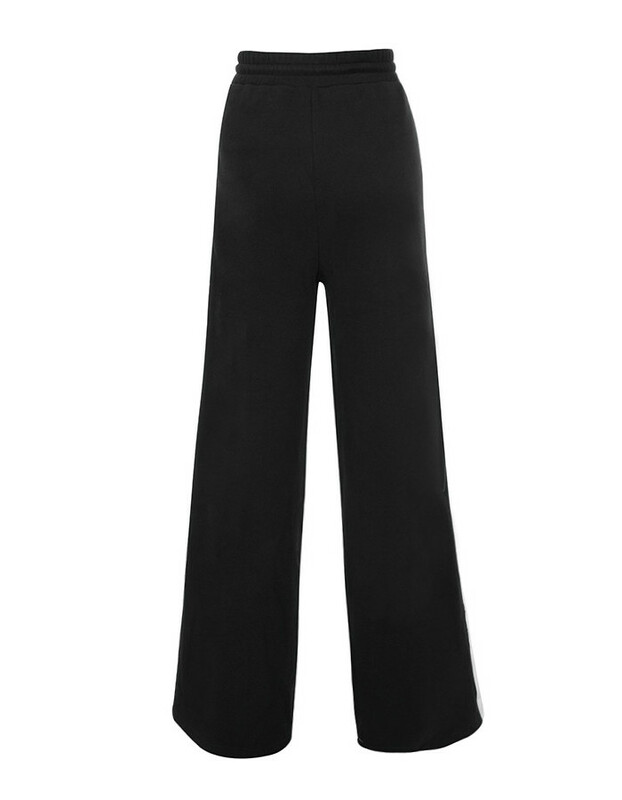 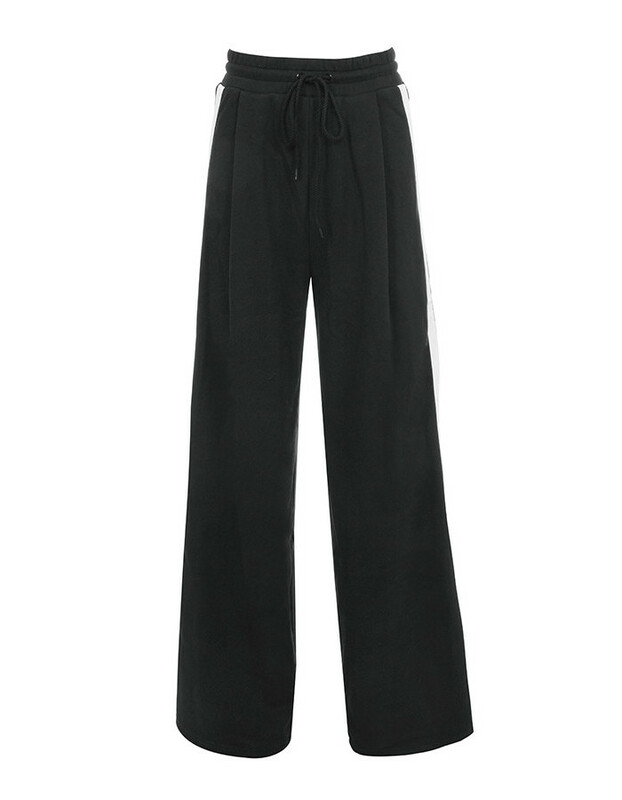 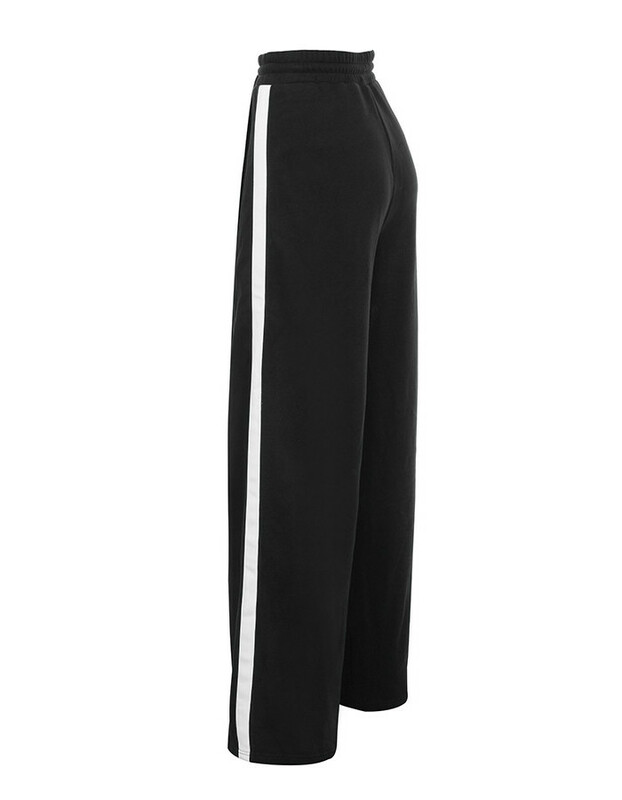 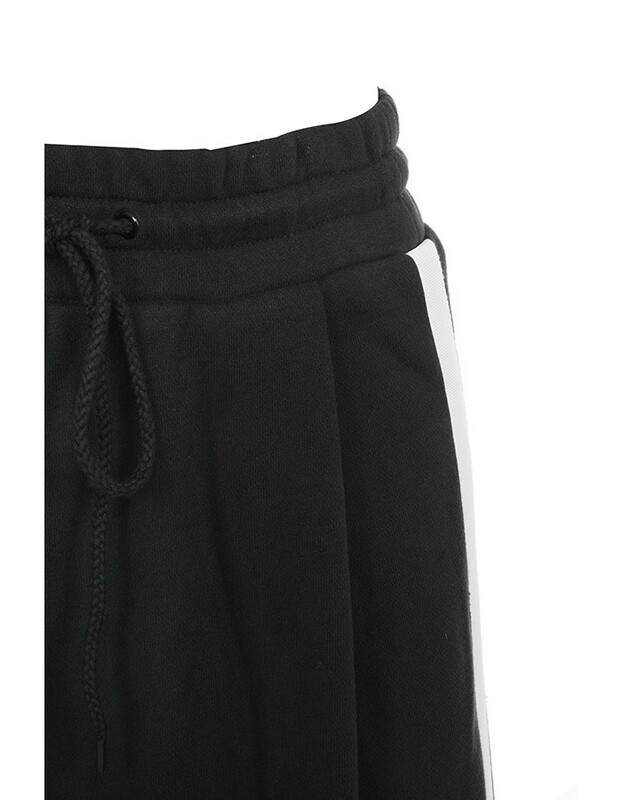 These glam sports-luxe pants have an oversized wide leg for added drama. 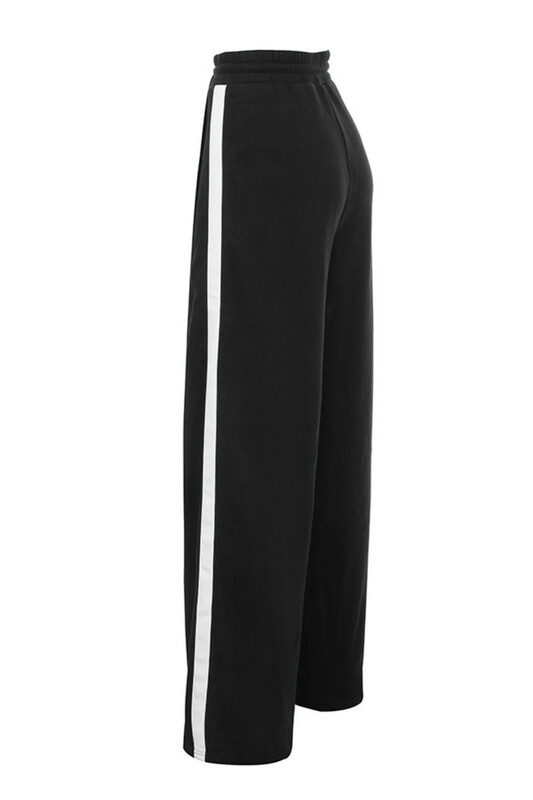 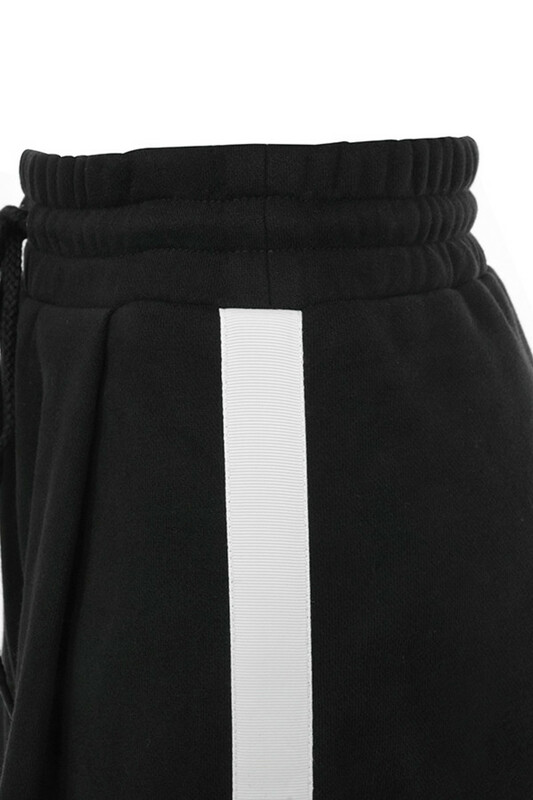 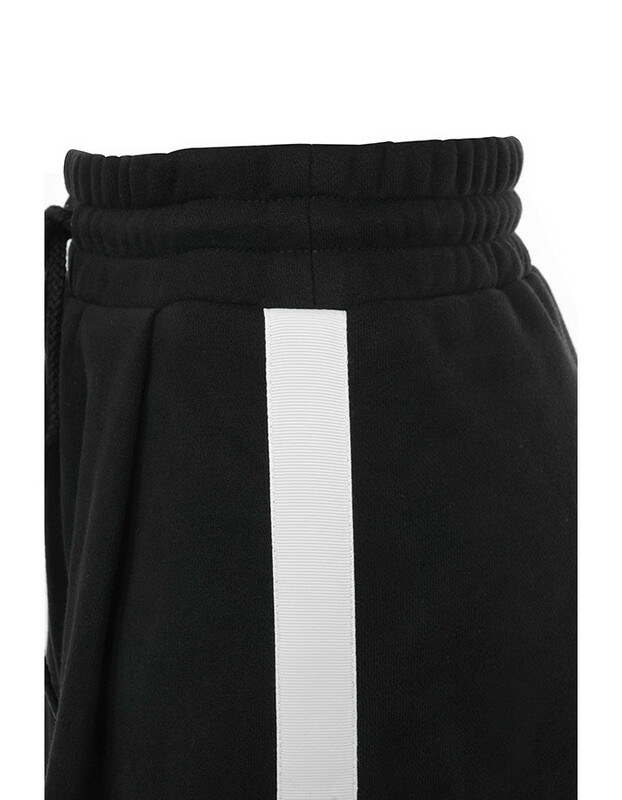 Made from a lustrous jersey and pull on style, 'Casino' feature a drawstring waist and dramatic white side stripe. 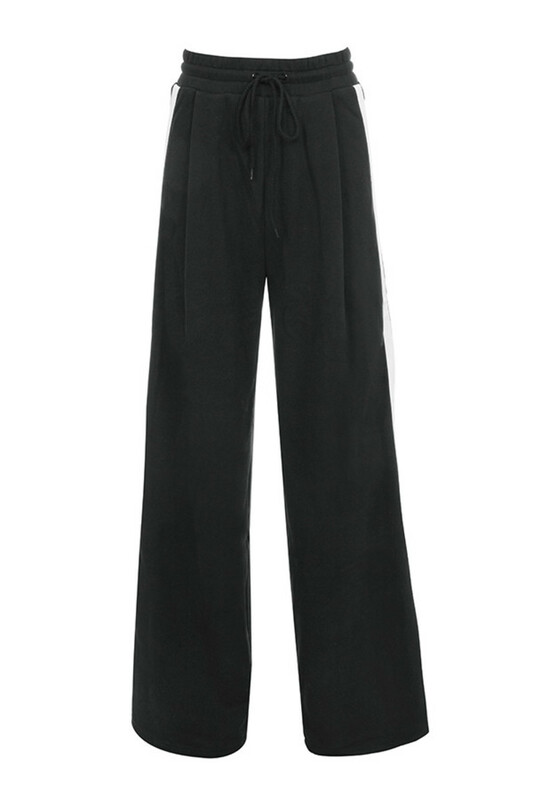 Wear yours with an oversized shirt and corset.